I’ve had a lot of questions on how my family and I traveled across Europe during our trip. Two words: Eurail pass. 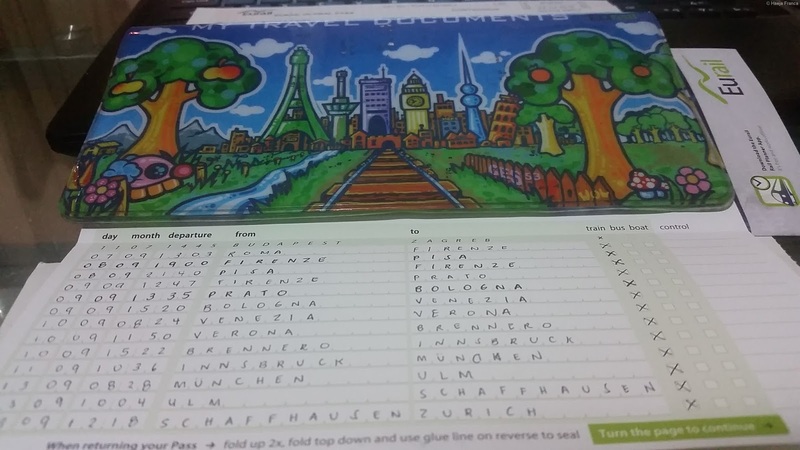 If you’re doing the trip on your own and want to experience Europe’s marvelous train system (it was pretty easy and efficient once you get the hang of it), there are numerous websites out there who can teach you. Some will also tell you not to get a Eurail pass, as buying point-to-point tickets are cheaper. We were going to travel through seven regions and five countries, and since we didn’t have any guide, we wanted the flexibility that a Eurail pass allows. A Eurail pass (for regional or trains that don’t need reservations) gave us the option to get on and off any train stop we wanted, especially since we have a Global pass, which meant our train pass can be used in 28 EU member countries. Since I knew our travel plans would keep adjusting, as self-planned tours do, I wanted the time flexibility that the pass allowed us. We weren’t so stressed to miss a train because we can always take the next one, or take an earlier one if wanted to do so (which definitely happened a lot of times). 2. First Class Seats = more comfortable long train rides! Our Eurail Global Pass automatically gave us first class seats on all trains with first class carriages. Based on all the websites I’ve read, first class seats are roomier and better, especially if you’re going to be on the train for four-five hours. Since there trains that only had second class carriages, I was able to compare, and I can definitely attest to the comfort of traveling first class by train across Europe. 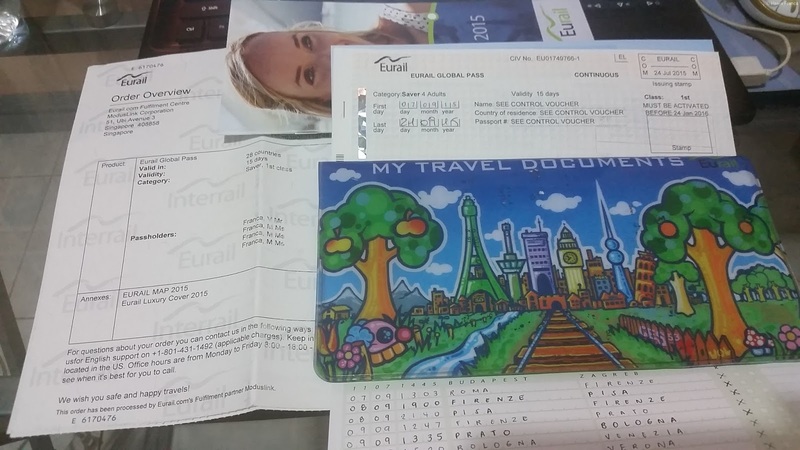 We bought a Eurail Global Pass Saver (those travelling in groups consisting of 2 or more adults get 15% off, but only if you’re travelling together at all times). When I bought our tickets, I chose Standard Shipping because I ordered our tickets over a month before our travel (right on the day our visa was approved), so we were able to afford waiting for it to arrive. Our Philippine post isn’t the fastest, and I admit I was nervous, but the tickets actually arrived after three working days! I bought our pass from the Eurail website (although you can buy from local travel agencies) because the Euro-Peso conversion rate was on our side at that time, and paying in Euros (including the shipping fee + conversion rate + credit card fee) was cheaper by over P1500 per person. We had no regrets with our Eurail pass even though it was pretty expensive compared to buying point-to-point tickets. You have to weigh the pros and cons. In our case, it definitely helped ease the stress from going one region/country to another. I was so nervous because we only received one pass four our whole group. My heart pounded as I handed the Eurail booklet to the train inspector, but there were no problems. Just don’t forget to have your Eurail pass validated on the first time you’re going to use it. For example, we were in Europe for 17 days, and we only used the Eurail pass on the third day, when we travelled from Rome to Florence. Therefore, I only had our pass validated at the train station in Rome on our way to Florence. Visit the ticket desk at an international train station, where a railway employee will write the first and last day of validity and your passport number on your pass, as well as stamp the pass so it becomes valid. Please note that you do need to show original passport documentation when you activate your pass – a photocopy won’t be accepted. Officially, it’s not possible to validate a Saver Pass with photocopies of each passport. So, either all passengers must be present, or one of you must have all original passports at hand, I’m afraid. Before leaving the validation booth, check that the Eurail employee has stamped the start and date because you will be charged a very hefty fine if they forget to do so. So when we went to the train station in Rome, I immediately looked for the ticket desk (meaning I asked around until I was sure I was waiting in the right line). I fell in line with all our passports and the complete Eurail packet. The waiting time was longer than the actual stamping time. Since the Eurail pass was for travelling across regions/countries, we did not use it within Rome. However, if you’re entering Italy and Paris by train, you will need to reserve a seat. There are only limited seats available to Eurail pass holders, and you can only reserve at the train station. 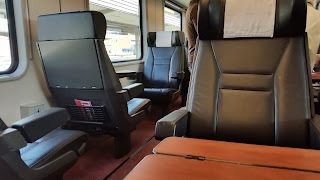 I contacted Mark Smith of Seat61, and he advised me to just buy a train ticket from Geneva to Paris, thru Capitainetrain.com, and the ticket will automatically include a reservation. Since we bought early, we were able to buy Geneva-Paris Gare de Lyon train tickets for only 31 euros/pax. All in all, our cross-region/country train passes cost 525 euros (conversion at that time was around 1 euro = Php 50) so this cost us about P26,250/pax. The whole time we travelled across Europe, we were only asked to present our passport once, when we were on the train from Munich to Zurich. That actually got me a little nervous. As soon as you get on the train, you have to fill up your Eurail pass. 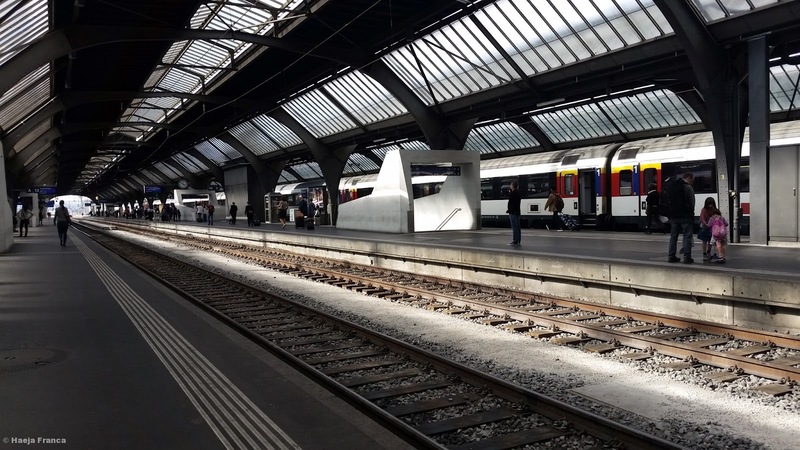 You have to write the day, month, departure time (to the minute) and the train station you’re coming from and where you’re going down, even if you’re transferring trains. For example, looking at the image above, on our way from Firenze (Florence) to Venice (Venezia), we had to change trains at Prato and Bologna, so even though Prato and Bologna were not our destinations, we still had to record those in the book. For the Global Pass, you need to record for every train/bus/ferry ride you take, even if it’s on the same day. 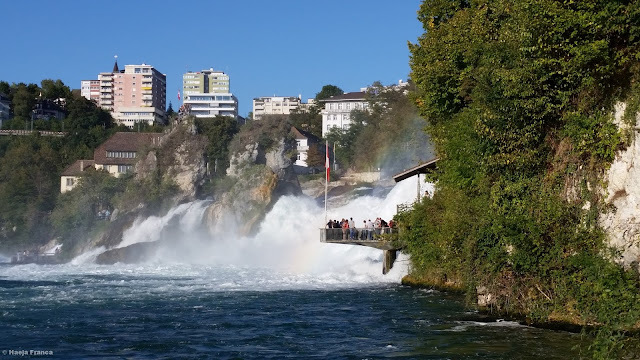 For example, on the same day we arrived at Zurich from Munich, we travelled to Schloss Lauf to see the Rhein Falls. Even though the travel from Munich to Zurich to Schloss Laufen happened on the same day, we still needed to record them. It’s pretty nice to look back and see all the train stations we’ve been to, including Verona, which made me think of Shakespeare. As I said, our Global Pass gave us some degree of flexibility, so we weren’t in such a rush all the time, although we did hurry for some train schedules as we wanted to get the quickest regional routes available. 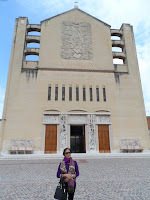 However, we had a few hours’ stopover in Verona, and my parents visited the Church across the train station. This was one of those things I don’t think we could have done if we didn’t have our Eurail Pass. The first time we travelled from Rome to Florence, we were nervous wrecks, my mom especially. She insisted that we be there three hours early, a la airplane style, and stay put until the train arrived. 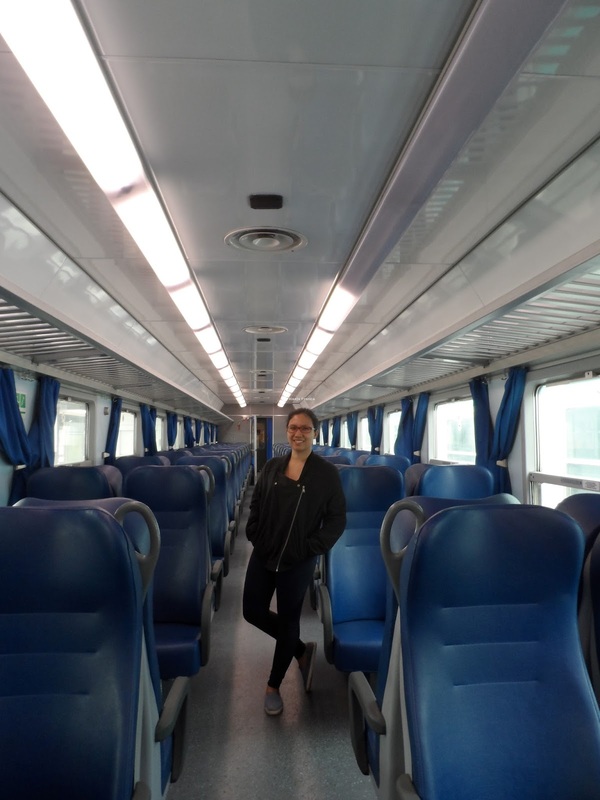 I kept telling her we only needed to be there 30 minutes early as we will only know the assigned actual train platform at least 30 minutes prior, but she wouldn’t listen to me (probably because we kept getting lost while in Rome hehehe!). But staying there for some time helped me to get a bearings of how train changes work. In every train station, there is a display of the trains arriving and departing, the time it will depart/arrive, the platform number, the destination and the type of train and flight code. If you’re taking a connecting train, sometimes the display will show the connecting train and not your actual destination. Going back to my example of travel from Florence to Venice, since we were going to change trains at Prato, what we had to look for at the board was the train going to Prato, not to Venice. 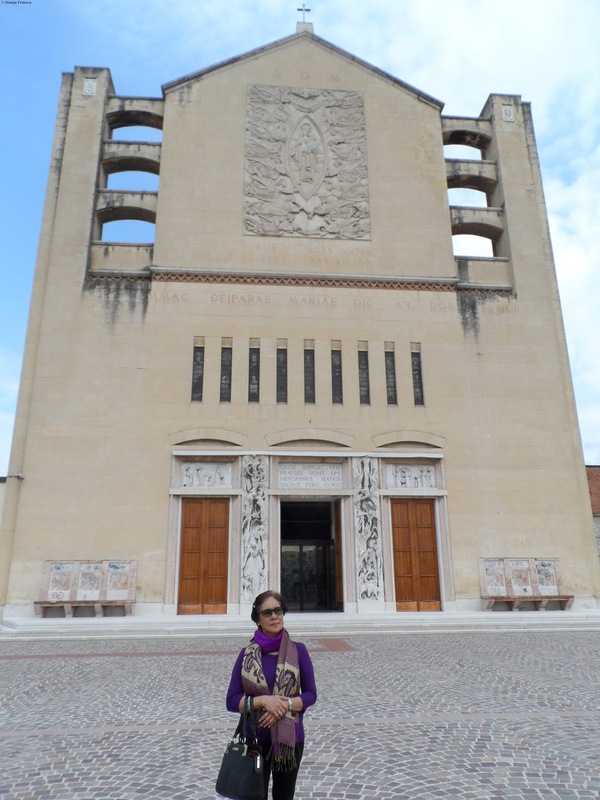 And when we arrived in Prato, we looked for the train bound for Bologna. 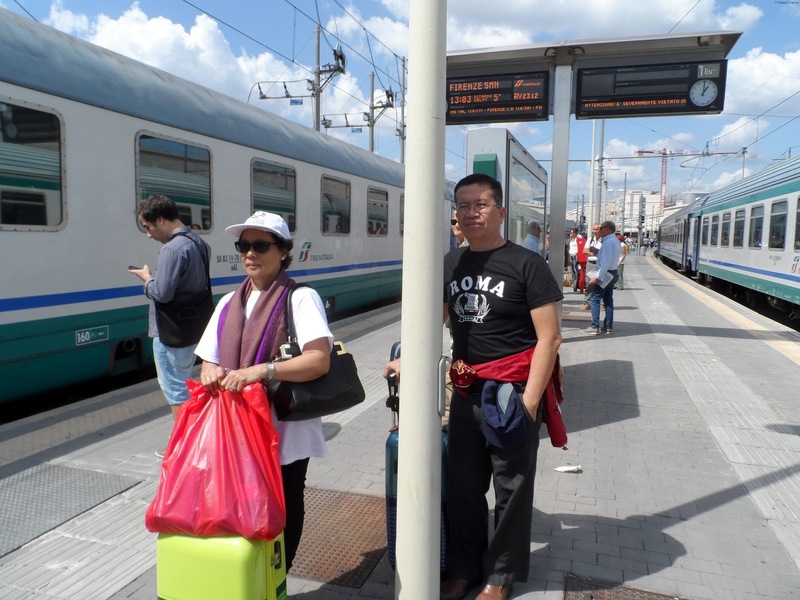 When we arrived in Bologna, that’s when we looked for the train bound for Venice. This is important because you might panic and see the train code you’re supposed to take but the destination displayed is different from your intended destination. The most helpful app I can suggest is the Eurail Rail Planner app, which will show, to the minute, the trains and times you’re supposed to take. It can even show you which ones are the regional trains, if you want to avoid paying reservation fees. Once you see on the display your train’s assigned platform, go to the platform and wait until you’re allowed to board. Don’t panic if you don’t see the train! Some trains can be late (and you will be notified on the platform displays (look at the picture above). If your train is just arriving, let all the passengers disembark before getting on the train. 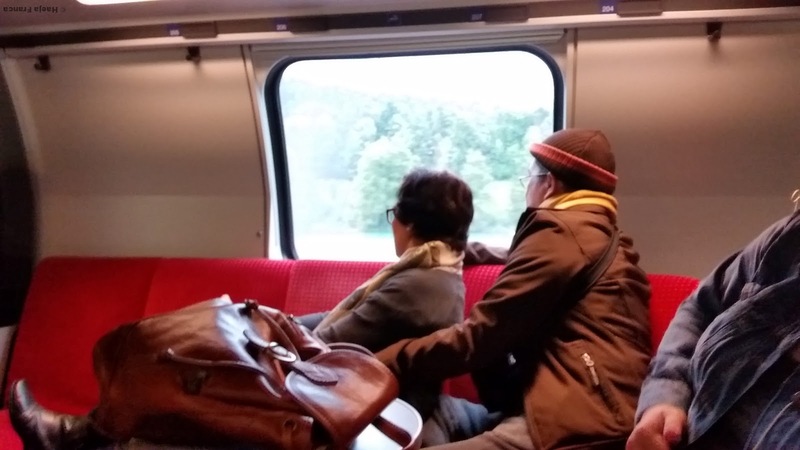 My parents, enjoying first class carriage comforts in Switzerland. 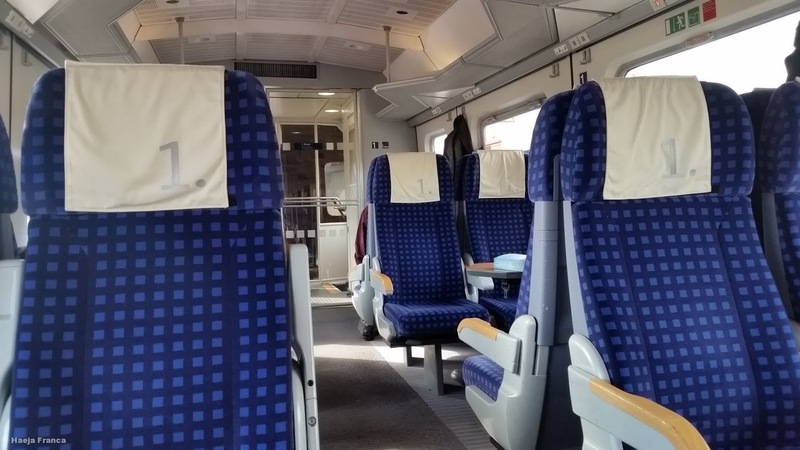 If the trains have first class seats (some regional trains only have second class carriages — this is also indicated in the Eurail Rail Planner app), then look for the carriages with the #1 painted outside. Second class carriages have #2 outside. There are luggage bags overhead, or at the end of the carriages, or if your luggage fits, there’s also a bit of space in between the seats. Sometimes, you might see that you only have 5-10 minutes to change trains. Don’t panic! Sometimes, transferring trains is just a matter of alighting from your train and going down the stairs/elevator and taking the train on the next platform. By the fourth time we’ve taken regional trains, my mom has become a no-sweat train pro. The Eurail website lists free passes on the S-Bahn in Austria and Germany, but we were not given free tickets. We still had to buy tickets as we went around Innsbruck and Munich. With our Eurail pass, we were only able to avail of the 50% discount on the cable car ticket from Engelberg up the Swiss Alps, but that was a pretty good discount of over 40 euros! We were also supposed to take the free boat rides on Lake Zurich and Lake Geneva, and on the Rhein Falls but we were too exhausted to take advantage, and we just enjoyed the cities. In Europe, each train ride was an adventure unto itself. There were noisy trains and trains that were cleaner than the others. There were trains with tables, and one train with its own restaurant. There were seats for two, seats for four people. We’ve ridden train carriages where we were the only ones riding first class. We’d sleep for several hours, or read books, or enjoy the scenery. We passed by several castles on our way from Italy or on our way to Austria. 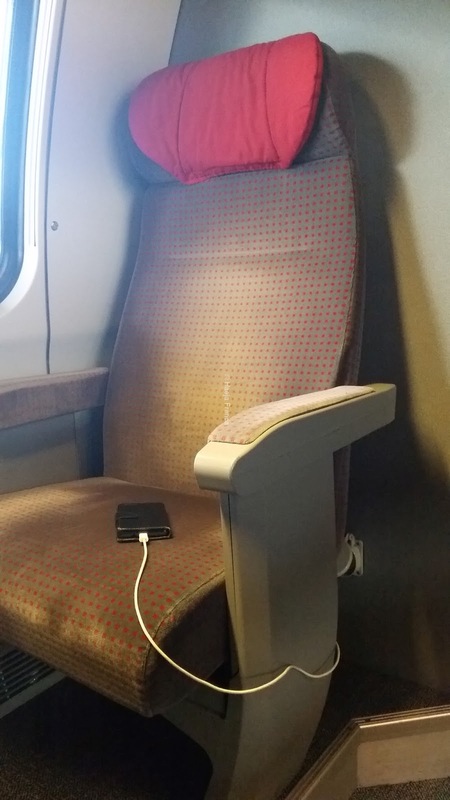 Yep, they have free charging outlets! There were times our train would stop for ten minutes at certain stations, and we didn’t have to go down, so while the train was stopped and with one hand on the rung, I’d put one foot on the station just to feel like I’ve been there! When we travelled from Italy to Austria, there was a train station shared by the two countries and marked as Osterreich and Italia, so it felt like we were in two places/countries at the same time. And on our way from Austria to Germany, the backdrop at the train station were the Austrian alps. Definitely a memory to remember! There are train stations that are so roomy and majestic it made me think of Hogwarts. There were some stations that are so cramped and filled with people. The Muenchen Hauptbahnof was the first station we’ve been to that had Asian food. After a week of missing Asian food, we immediately ordered several dishes and gobbled them up.After almost a week in Italy, my sister and I will never forget the words prossima fermata. If you’ve taken the trains in Italy, you’ll know what I mean! 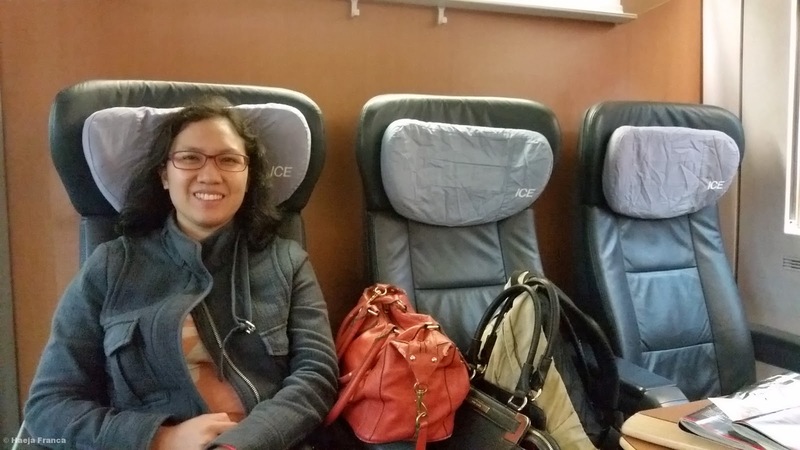 Our train travel across Europe might have been a little expensive and slightly stressful at the start, but it was definitely one of our most treasured experiences. And if I ever get to visit Europe again in the future, I’d surely take the trains because that cross-country ride in Europe was one of a kind.